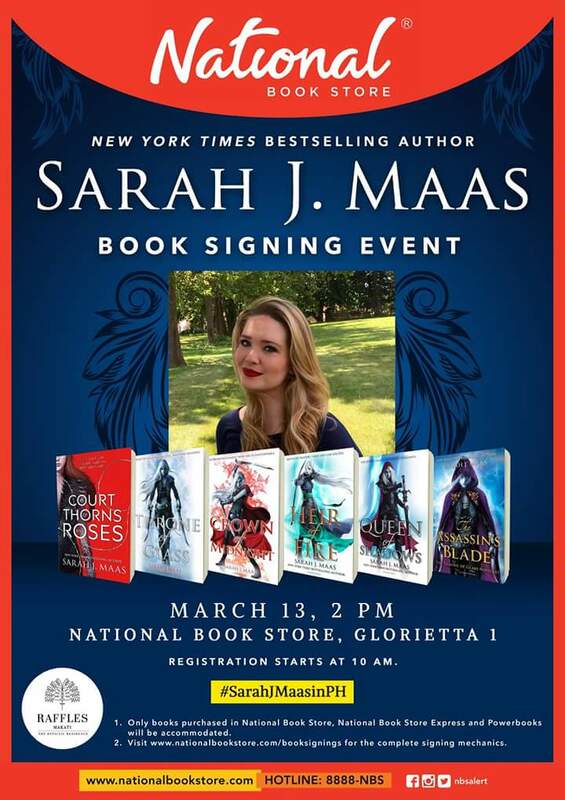 Yep, another book signing event sponsored by National Book Store! And the author will be Sarah J. Maas!!! March, my birthday month, will be a fun one! I just don't know if my bank account will agree. Haha!